I was really happy to see a work on the unsung heroes of the South in terms of mythology and history put together and this is very well done story with the Chola history intertwined to make it a historical fiction. Thanks to the author Dr. R Durgadoss. The characterization of Surya the hero and the final chapter are an ode to the way they armed warriors of those times actually lived in those era of Cholas. The background and the implication of his history also is like spicing up the story to a great bit. The author has taken pains to research the war tactics being used those times and also those cultural issues that comes in terms of relationships the marriages and the customs that prevailed there on. For example there was a slice of live in relationship which if we take it in today’s age must have been too good in terms of societal reformation. The kings marrying second time after war victories is also well documented. The background of the building the Big temple and the city of Gangai Konda Cholapuram and the jewels which were supposed to be a part of Chola dynasty keeps the story well knitted across the time line with the character of Surya fitting in seamlessly. The author has taken liberties and it fits well in terms of characterisation and I must add this has a script for a movie for the twists and turns that the author makes us live in. The naval warfare technology and the character of Surya are well intertwined to get the story the pace it deserves and adds to the overall story telling. There is war fare, there is strategy, there is romance and they are mixed in a concoction for the reader to enjoy them. 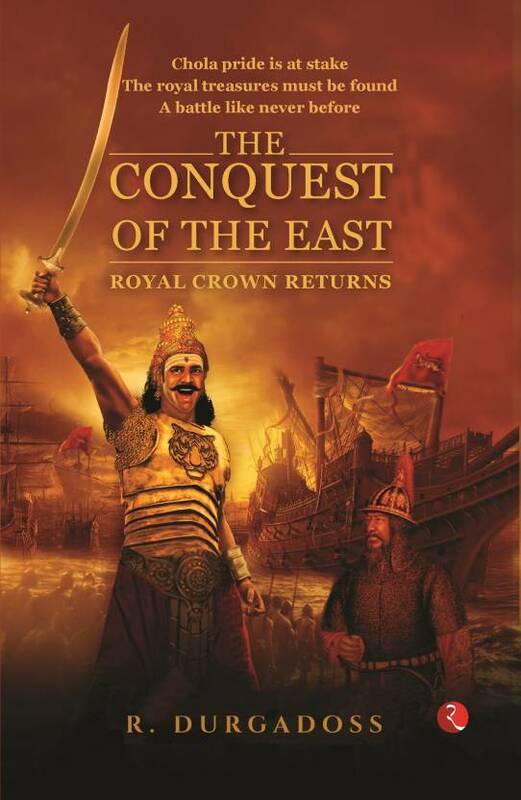 A nice fast paced read The Conquest of the East is a must read and to be frank you will finish this in one go for sure. To pick up your copy go to Amazon or Flipkart.